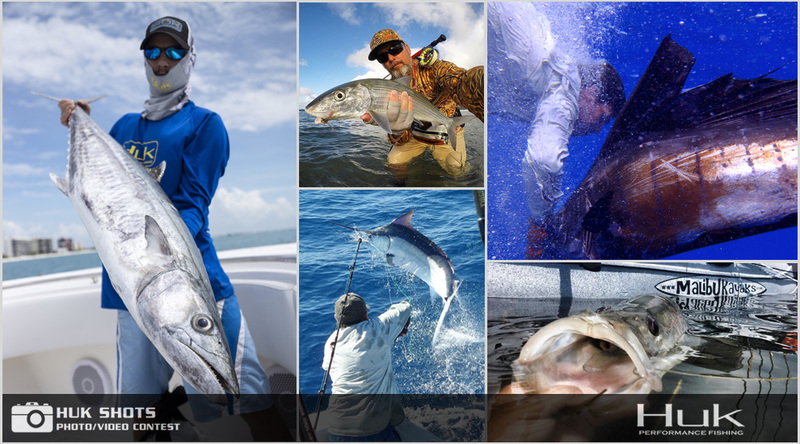 Browse a selection of top fishing photos entered into FishTrack's HUK Shots contest in April. There's still plenty of time to enter our May contest and get in the running for the grand prize. 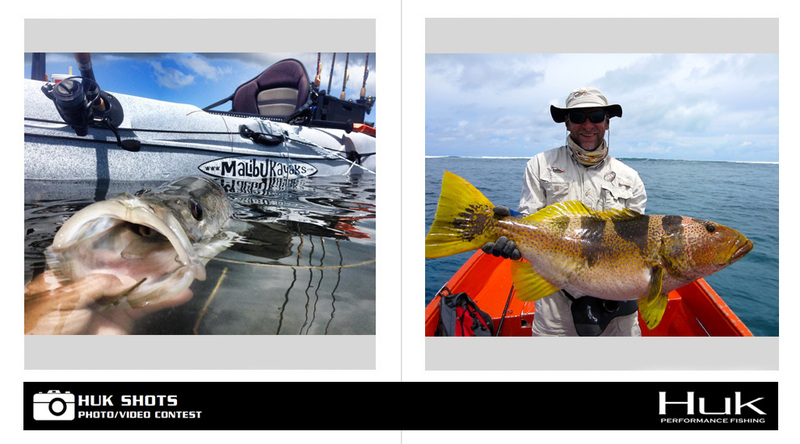 A feisty dorado breaks the surface while this proud angler shows off a very nice snapper. 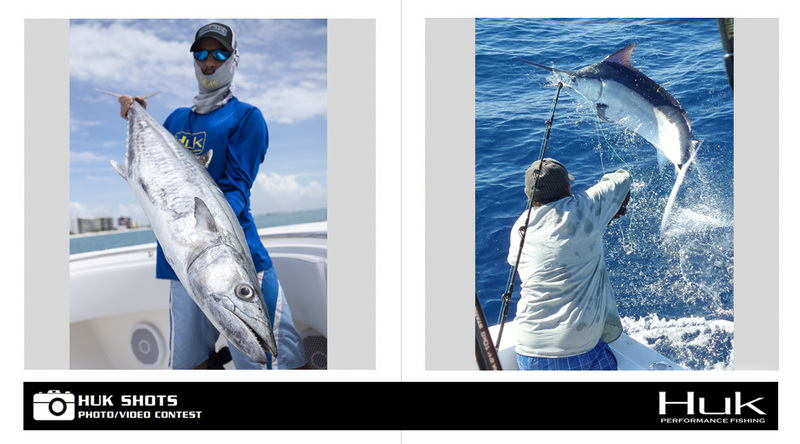 One sailfish goes airborne off in the distance while another gets an unusual release. 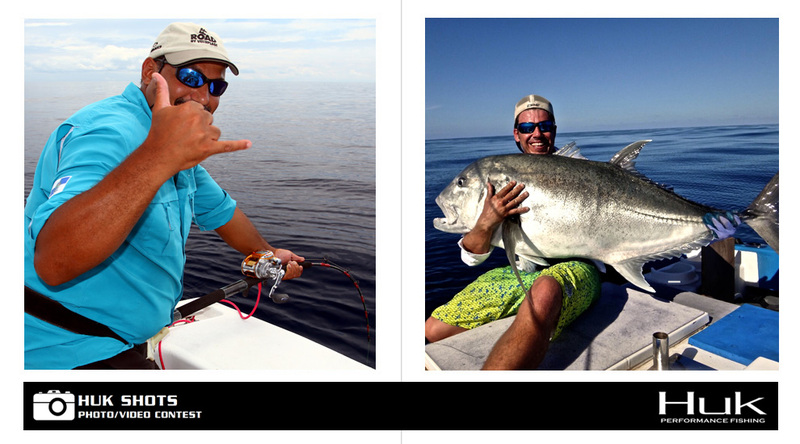 This angler celebrates a solid hook-up, and this big GT would bring a smile to anyone's face! 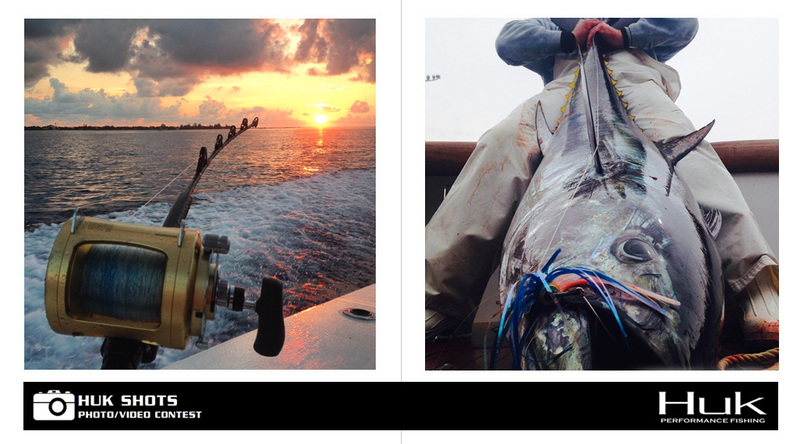 One photographer perfectly captured the sun coming up over the spread, while another scored the "after" pic of a nice tuna. 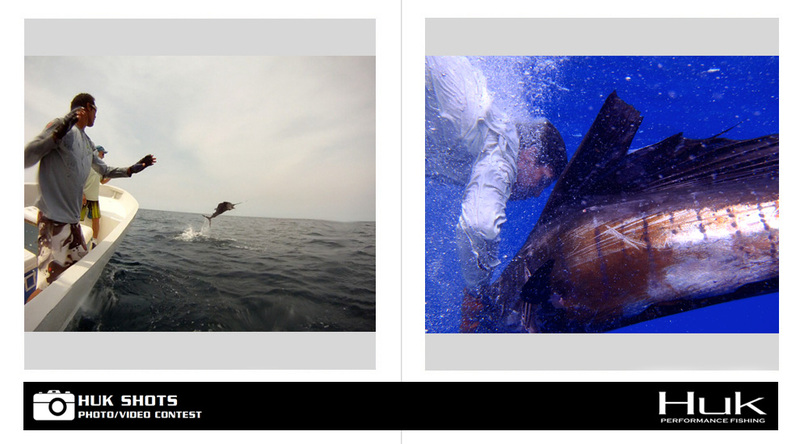 This top video submission really captures the excitement of Key West dolphin fishing both above and below the surface. A unique perspective made this snook shot really stand out. 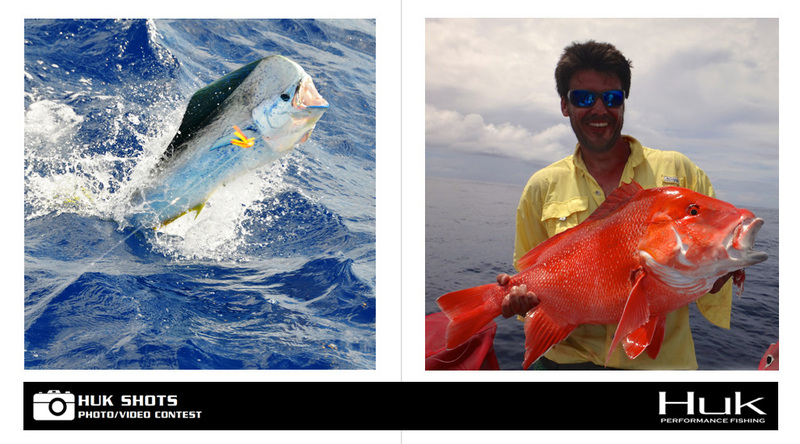 This angler poses proudly with a catch that's a little more exotic. 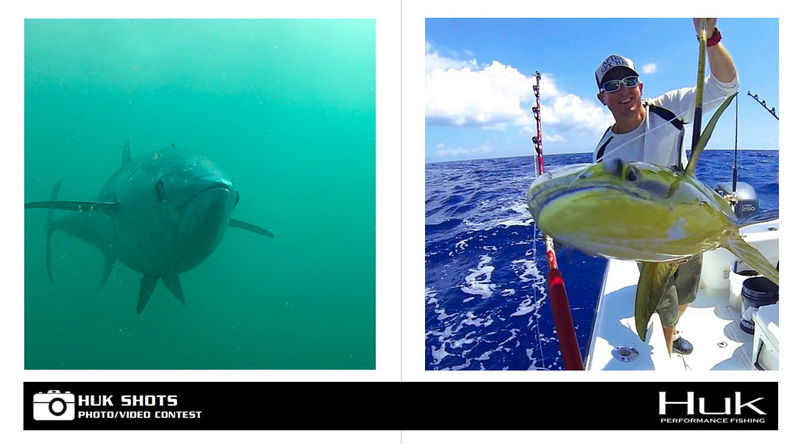 Get up close and personal with a free-swimming tuna and a future fish sandwich. One photographer captures the end of the fight from the fish's perspective, while another scores the perfect selfie. 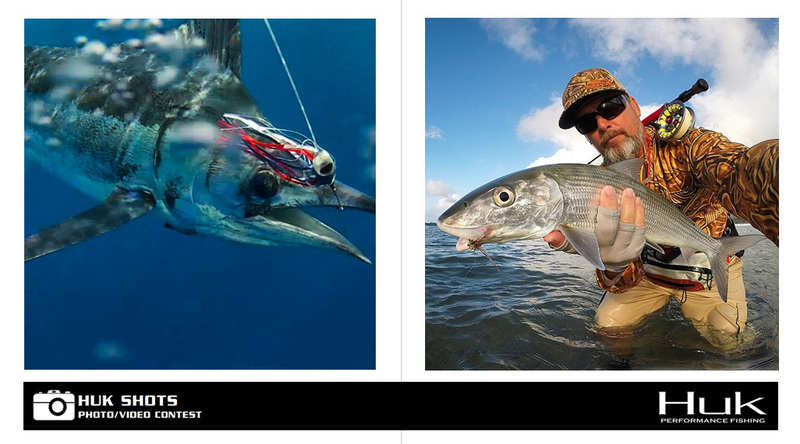 An angler scores a nice kingfish in his HUK garb, while another captured a high-flying black marlin right at the transom.